Moscow, SANA-The Syrian-Russian Parliamentary Friendship Committee met on Saturday with representatives of Russian community organizations. 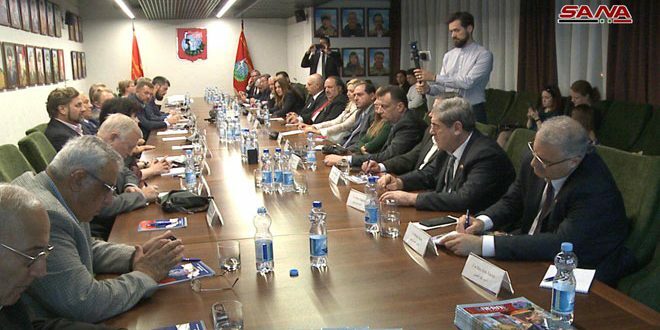 The meeting brought together representatives of martyrs’ families, the Russian veteran organization “Brothers in Arms”, and some families of the Russian soldiers who were martyred in Syria in the battle against terrorism. 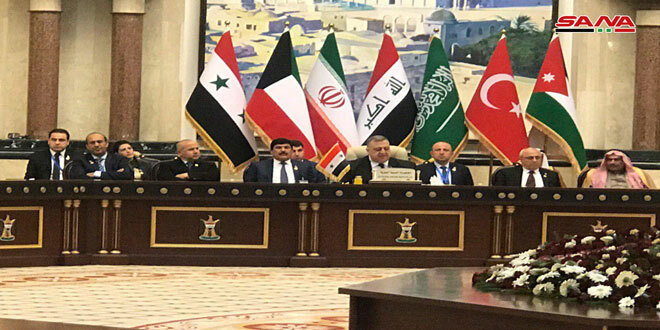 They agreed on strengthening and expanding joint activities in parliamentary diplomacy between the two countries to include humanitarian, cultural and social activities, with the aim of alleviating the pressure of terrorist crimes and its destructive effects and setting up a joint work plan for the upcoming stage. 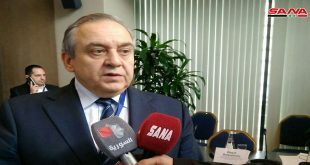 Head of the Syrian-Russian Parliamentary Friendship Committee, Hussein Abbas said that the cooperation in the fight against terrorism between Syria and Russia is aimed at achieving peace and equity in the world and preserving the two countries’ culture and traditions because terrorism is the enemy of mankind. 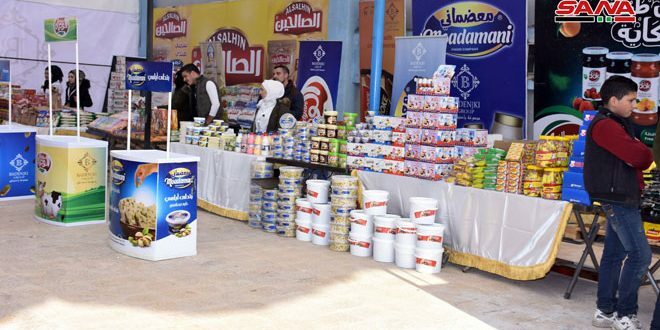 Abbas presented a review of the Syrian experience in establishing organizations and institutions specialized in supporting and taking care of the sons of the martyrs at social and educational levels and others. For his part, the Russian side affirmed that the meeting is being held for serving humanitarian purposes, including the treatment and protection the families of Russian soldiers who martyred in Syria while they fought international terrorism for security and peace to prevail in Syria. Speaking to SANA reporter, Chairman of the Russian-Syrian Parliamentary Friendship Committee Dmitry Sablin expressed confidence in the victory over the international terrorism in Syrian, hoping that more efforts will be put for consolidating friendship and fraternity between Syria and Russia for the upcoming decades. 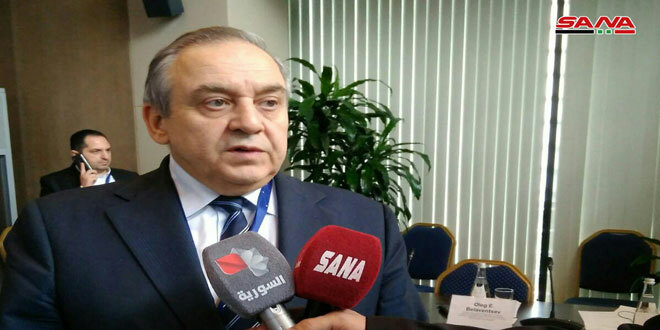 Deputy head of the Syrian-Russian Parliamentary Friendship Committee, Majed Halemah said that the Syrian delegation who is currently visiting Russia held several meetings at the Russian State Duma which dealt with bolstering the Syrian-Russian relations in the parliamentary field and others. Sablin who is also the Deputy Chairman of the Russian veteran organization “Brothers in Arms” awarded Syria’s Ambassador in Moscow Riad Haddad the organization’s badge in recognition of his efforts to promote friendly and cooperation relations between Syria and Russia. 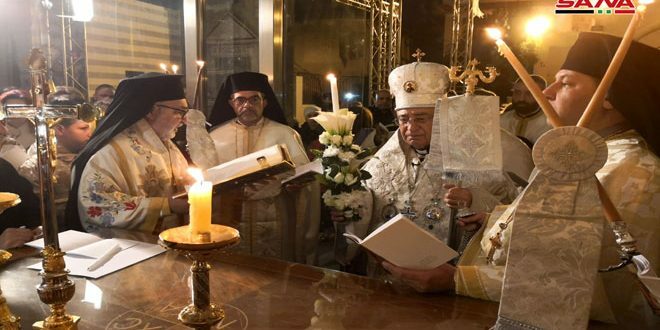 The delegation of the Syrian MPs presented the People’s Assembly’s shield to the families of Russian martyrs who sacrificed their lives in Syria as an expression of the Syrian people’s appreciation for them.